With a genuine interest in new technology, gadgets and devices, Michael helps inventors translate their ideas into legally protected intellectual property. Michael works on patent applications from start to finish, including items relating to mechanical devices, electrical components and software. He interacts directly with inventors – typically employees from large institutions or corporations – to take their very technical, narrowly specific inventions and present them in the broadest scope of coverage possible for legal purposes. 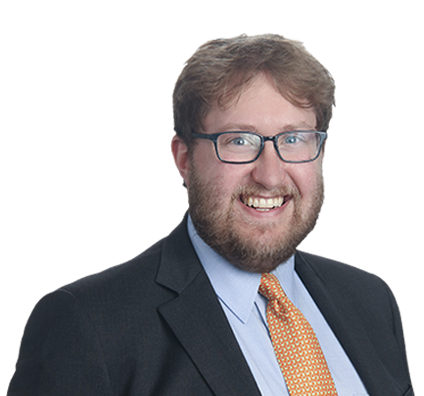 Michael provides general counsel to clients on strategic options or protections available under intellectual property law and conducts phone interviews with patent examiners who make the determinations of patentability. In addition, Michael handles patent claims and responses to patent and trademark office actions before the U.S. Patent and Trademark Office. As a licensed patent attorney, Michael has completed hundreds of patent applications and related actions over the course of his legal career. Michael enjoys classical music, the performing arts, technology and reading. Michael likes the cultural scene in Chicago where he attends classical music, opera and ballet performances. He has an interest in technology in general, including everything from building computers to following new gadgets and devices. Michael also enjoys reading, particularly science fiction novels.